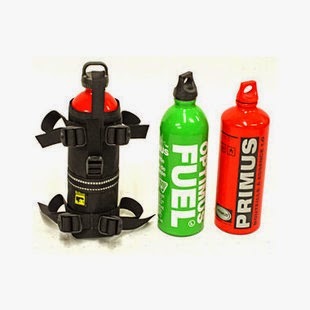 Below is a slightly edited version of the review I posted on Revzilla.com of the Wolfman fuel/water bottle holster. Typical top-quality, well designed and durable (though pricey) Wolfman product. With a little ingenuity, one can mount this holster to almost any bike or other piece of luggage; it's not limited to mounting to other Wolfman products. For a 9-day trip a few weeks ago, I wanted an easily-accessible water bottle, and I wanted to save space in my side cases, so I mounted the Wolfman holster to my trusty old Ortlieb waterproof duffle bag that was strapped to the pillion seat. 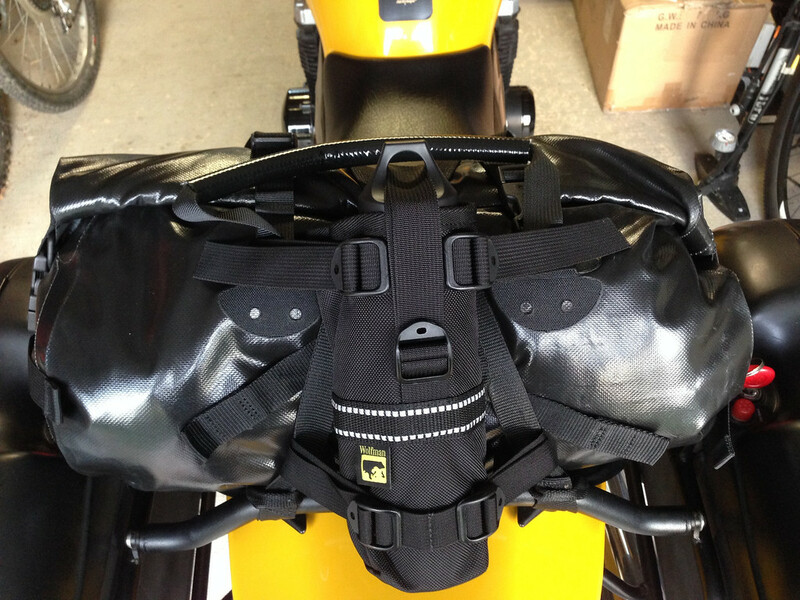 I simply looped the holster's upper and lower mounting straps around ROK straps that were securing the duffle bag. The holster carried a 21 oz. vacuum bottle; the typical bottles you find at outfitters like EMS -- be sure you get a loop top for any bottle you want to carry in the Wolfman holster.